Dr. Graham relocated to Pennsylvania from Alaska in 2003 to pursue his dentistry career and to honorably serve in the United States Army. He completed his undergraduate degree at Lock Haven University, earning his Bachelors of Science in biology and chemistry. Tom was commissioned in the United States Army in 2006 as a Second Lieutenant while he attended Dental School at the University of Pittsburgh. Upon graduating from dental school in 2010, he was promoted to the rank of Captain and stationed at Fort Campbell, KY, to serve alongside the Screaming Eagles 101st Airborne (Air Assault) Division. 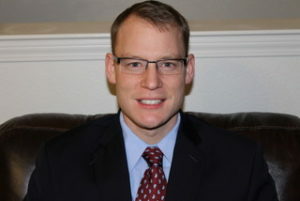 While at Fort Campbell, he completed a year-long Advanced Education in General Dentistry (AEGD) residency, developing an interest in Endodontics. Dr. Graham later completed an Endodontic residency at Fort Bragg, NC, where he served alongside the 82nd Airborne Division. Post-graduation, Tom returned to Fort Campbell, was promoted to the rank of Major and served as Chief of Endodontics for the U.S. Army AEGD Residency. Dr. Graham achieved board certification and was designated as a diplomate of the American Board of Endodontics while serving on active duty. After serving 7 years on active duty, Tom and his wife, Betsy, made the decision to return to civilian life with the goal of putting down roots and raising a family. Tom and Betsy are active in the church and have 2 children adopted from South Korea.